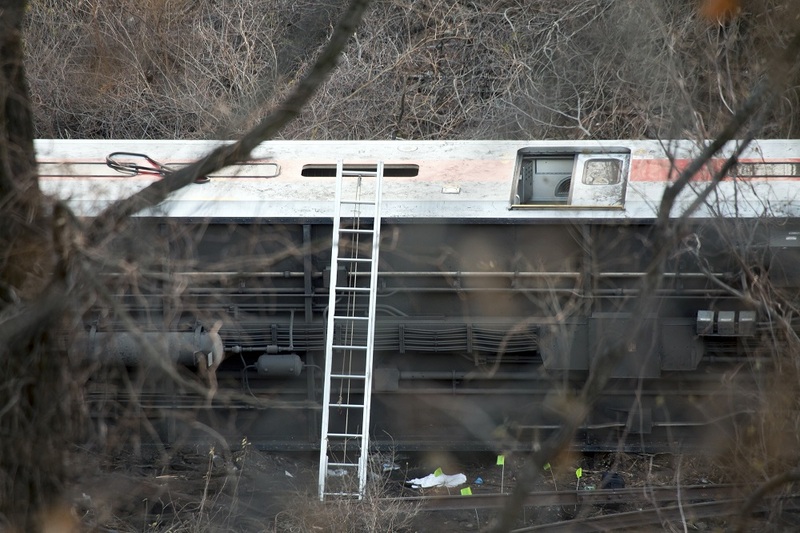 Train Accident Kills Several People, Over 100 Injured: How to Sue For Damages? On behalf of admin of JML Law, A Professional Law Corporation posted in Train Accident on Monday, Feb 05 2018. An estimated 1,000 Americans die in train accidents every year, while 3,000 others get injured. From railway suicides, getting hit by a train while intoxicated and slip and fall accidents to train collisions and derailments, trains are quite dangerous. Even though the number of Americans who travel by train decreases every year, injuries and fatalities on trains are not going anywhere. But massive size and weight of trains is not the only explanation for this. Also the outdated, outrageous and inadequate policies that regulate train travel in the U.S. – that’s on top of negligence, carelessness and failure to comply with regulations that contribute to train accidents in our country. Last Sunday, Americans witnessed a terrifying train accident that left several people dead and more than 100 injured. An Amtrak train crashed into an unmanned freight train after being mistakenly diverted to a side track. As a result of the train accident, which took place in South Caroline, two Amtrak employees died, and 116 people – mostly passengers – were injured. The train was mistakenly diverted because the rail switch had been manually set to divert the Amtrak Train 91 onto the side track, our Los Angeles train accident attorney who reviewed the horrifying crash noted. Even though it’s a standard procedure that rail switches are being manually operated, for some reason a padlock held the switch in its alignment, which subsequently led to the totally preventable train accident. Our best train accident attorneys in Los Angeles at JML Law have several questions regarding the South Carolina train collision, but investigators don’t know the answers at the moment. It could be that the train braked before being diverted or it was exceeding the 59 mph speed limit, our train accident lawyers at JML Law argue. Experts also say that the train accident could have been avoided if the Amtrak train was equipped with PTC, which stands for positive train control. PTC is a system that takes advantage of GPS, wireless radio and computers to prevent collisions, derailing and speeding. Thanks to a series of laws passed in the U.S. in recent months, railroad companies will be legally required to implement PTC until the end of 2018. The failure to equip trains with PTC will give passengers who get injured or lose their loved ones in fatal train accidents one more reason to hold railroad companies responsible for damages in multi-million dollar lawsuits. Whether you’re a train passenger, pedestrian, bystander, motorist or passenger of other vehicles, or a railroad worker, you can obtain compensation in a train accident if you prove negligence or recklessness. Now, suing multi-billion dollar railroad companies to collect damages is not the easiest task, as these companies are protected by skilled lawyers. That’s why it’s critical to be legally represented by a Los Angeles train accident attorney who will formulate a professional and aggressive strategy to fight for your interests both in and outside of court. This is just a non-exhaustive list of types of train accidents in which you can obtain compensation for your injuries and damages. Contact our best train accident attorneys in Los Angeles to get a free consultation about your case. Call JML Law at 818-610-8800 or send us an email for a free evaluation of your case.